Please note that the content of this book primarily consists of articles available from Wikipedia or other free sources online. The men's 100 metres sprint event at the 1932 Summer Olympics took place on July 31 and August 1 at the Los Angeles Memorial Coliseum. The final was won by American Eddie Tolan in a world record equalling time of 10.38 seconds. 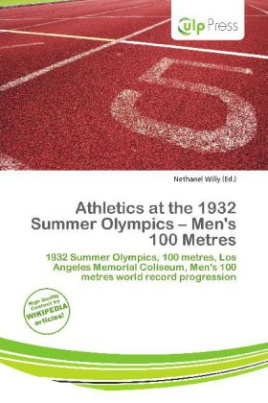 The 1932 Summer Olympics, officially known as the Games of the X Olympiad, was a major world wide multi-athletic event which was celebrated in 1932 in Los Angeles, California, United States.